I recently bought a game. It was Dragon Age II, if you’re curious, and I’m enjoying it well enough so far. But I bring this up because of the conversation I had with the cashier as I bought it. “Are you excited about the next game in the series?” he asked me. I admitted that I hadn’t heard much about it but what I’d seen looked pretty interesting. Then he mentioned that it was also coming out for last-gen systems, meaning I could play it on my PS3. All at once, I was suddenly very interested in this new Dragon Age. Obtaining it actually seemed like a possibility. Video games are unique as a medium in that they consistently keep getting better. Technologically, that is. Books are books are books, and whatever the words on the pages say, the standard format hasn’t changed much in a couple hundred years. Movies get better special effects as time goes on, but the format they’re released on doesn’t change all that often. You aren’t going to buy Captain America for Video Player X, and then be forced to buy Video Player Z if you want to own Captain America 2, is what I’m saying. But video games do that. And you can’t even see them in theaters before deciding whether to buy them or not. Now let me make myself clear: technological advancement is not a bad thing. People who cling to their senses and insist that Final Fantasy VI is still the best in the series, that’s fine, but I’m not one of them. Advancements in visuals, story, and gameplay have, in recent years, made the medium a respected form of art. 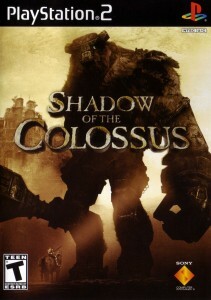 Shadow of the Colossus and Journey are two visually arresting and highly atmospheric works which would not have been possible to create even 20 years ago. Storylines have become denser and more complex, even dependant on the player’s choices, as is the case with the aforementioned Dragon Age series. Post-modernism and deconstruction of the format have become possible, as demonstrated by the somewhat off-putting Metal Gear Solid series. Getting new and better video game systems is fine. Here’s my problem. Let’s say that the new Dragon Age ends up only coming out for current-gen systems. I like Dragon Age, but I don’t like it enough to shell out $400 or more for another giant piece of machinery that won’t even let me play my old games. So I won’t buy the new Dragon Age. I don’t continue along with the story, or get emotionally invested with the characters, or anything. Another game comes out, and another, and I don’t want to just jump into one without having played the earlier ones. Besides, by that time the next generation of consoles will have come out, I’ll be behind again. This is the problem that video game fans face. Pick one console to buy, and suddenly the new game in your favorite series is coming out on the other one. 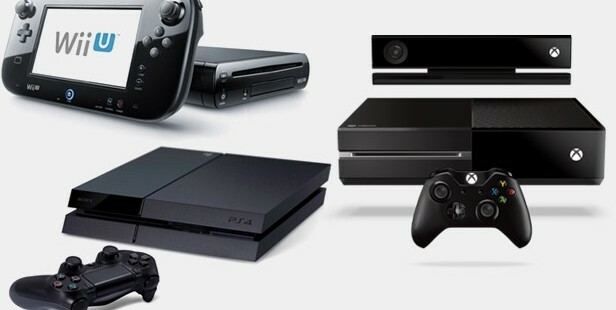 By the time you manage to get your hands on the other console, the new one already has come out. Hardware developers are focusing on technological upgrades every few years, assuming that the average fan has bottomless pockets of wealth and enough room to store all of those systems and games. Some of the advancements made are unique and have incredible potential, but it feels like as soon as games start using them it’s time to upgrade to the next gen. Video game stores seem to believe that people will just trade their old games and systems in for new ones when they’re done with them. I don’t do that. None of my friends do that. Who does? This doesn’t even begin to cover the frustration fans have with third-party game developers, who make their games for whatever system looks most interesting to them. 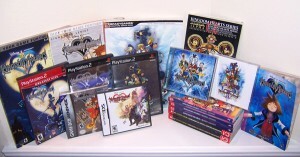 Fans of Square Enix’s Kingdom Hearts series have been forced to track their games from system to system for the past ten years. At least with a company like Nintendo, you can be sure that Nintendo games will always come out for Nintendo consoles. I’ve been buying new Nintendo handheld systems for nearly fifteen years with the knowledge that the new Pokemon game will be coming out for it shortly after. Meanwhile, Kingdom Hearts fans need (deep breath) a Playstation 2, a Gameboy Advance, a Playstation Portable, a Nintendo DS and 3DS, and, with the recent announcement of Kingdom Hearts III, a Playstation 4 or Xbox One in order to play all the games in the series. Yes, a few are backwards compatible, but they only go so far. Since the series is so old, a number of those systems are obsolete. Square Enix has been remaking their early games for later consoles in an attempt to give fans access to them. I’m all for that! But I already have the original Kingdom Hearts and a Playstation 2 to play it on. Should I buy the remake? Is it worth it? If it’s only for the new fans, then why not give the old fans the means to play their old games without having to buy a brand new copy? It’s complicated, and at the rate Nintendo, Sony and Microsoft continue to churn out new consoles, it’s not a question they’ve been thinking of. I’m just a fan, and I don’t know the inner workings of these companies. I don’t want to belittle the talented creators and programmers who work so hard for their fans. It could be that they have to continue upgrading in our technology-obsessed world or become obsolete. The end product — the video games — doesn’t matter as much. Sometimes I feel like the only way to deal with all this is to quit playing video games and take up a different hobby. Something less expensive. Walking, for example. Or sitting. One of them is even healthy for you. Umm you can play Kingdom hearts with just a PS3 and 3DS (plus a ps4 or xbox one for the next one) Chain of memories, birth by sleep, Kingdom Hearts, and Kingdom Hearts II are on ps3, and 3ds plays DS game, so it has 365/2 days. re:coded, and Dream Drop Distance. Yes, and I’m glad they’re making those HD collections, since it makes it much easier for new fans to get their hands on everything. That doesn’t change the fact that the games originally came out for many different consoles, and if a fan wanted all of the games they would have to buy all the consoles. They aren’t going to be waiting for the remake/collection that might be happening 5-10 years later.